We cater to designers and crafters, providing a quality pillow form made to order right here in East Tennessee. While the most cost-effective way to buy our forms is through a case (aka Cube), we also offer the ability to purchase our pillow inserts in any quantity. 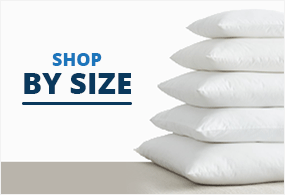 Our American-made pillow forms are crafted just for you, and are designed to fit the size of your cover. If you've got a pillow cover in hand that you want to fill beautifully, then you probably have lots of questions. Join us as we walk through the process of selecting the right size and fill type. Do you have allergies, but still want plush pillows? 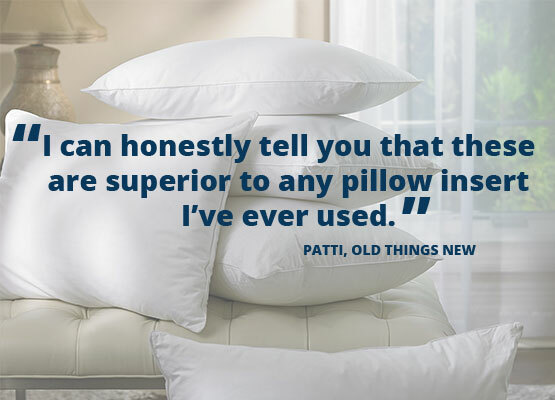 No problem, we have down alternative pillow forms! How do we do it? 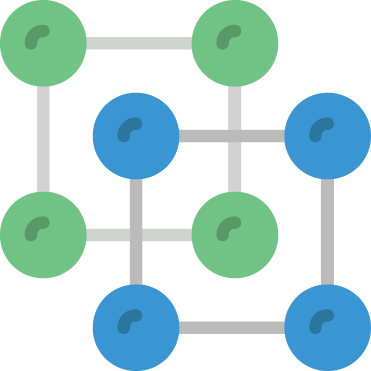 We use a fiber that's nearly 1/10 of the "normal polyester" fill fibers. This gives you the "staying power" of a down pillow with all the benefits of a hypo-allergenic pillow. The staying power lets you do a "karate chop" on your fiber filled allergen-free pillows and actually keeps them in shape! This pillow fill alternative is many times known as "synthetic down". It's a very popular hypo-allergenic option. We offer this filling in all of our sizes. Contact us today for a quote in any size you might need . "Go Green" with our fiber fill made from recycled plastic bottles. Be environmentally conscious and don't pay more than regular fiber filling! The fiber fill is made from recycled plastic bottles. We offer two fabric choices for this pillow form. Our standard eco-friendly form comes in a 200 threadcount shell made of 100% cotton fabric. The fabric is unbleached, to lower the amount of chemicals used in the manufacturing process. 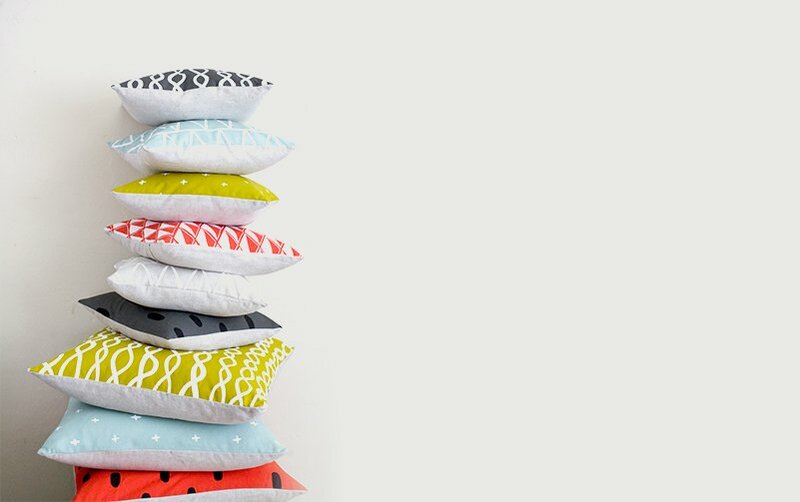 We greened up the entire process on these pillow forms! We are proud to offer wholesale pillow insert pricing to many fine retailers, hospitality organizations and interior designers. Our designer quality pillow inserts make your pillow covers or shams look amazing. 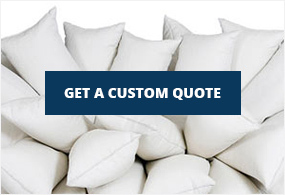 We make each pillow form to order, but do it within two business days of your order--so your forms are delivered quickly. If that wasn't enough, we can make your square, rectangle, round, bolster, or box forms in nearly any dimensions needed! Our fills are pulled and stuffed with care, so that you don't end up with a big ball of stuffing in the middle of your pillow form. Our pillow inserts are made by hand with commercial sewing machines. 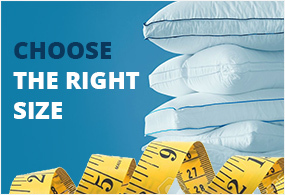 This "cut and sew operation” ensures that a real person oversees the quality of your pillow forms. Our standard forms (square, round, and rectangular) all have an extra inch added, to ensure that the stuffing fills your cover all the way to the corners. 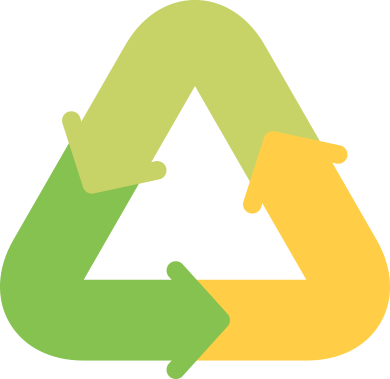 There's no need to do fancy math with our forms, as most customers are thrilled with the fullness when buying the same size form as their cover. We use what is called a "safety stitch" on all of our pillow forms. This means you have a single stitch on the inner seam and a serge seam on the outer seam. The result is that you'll find no little duck feathers waddling out on your couch or bed.